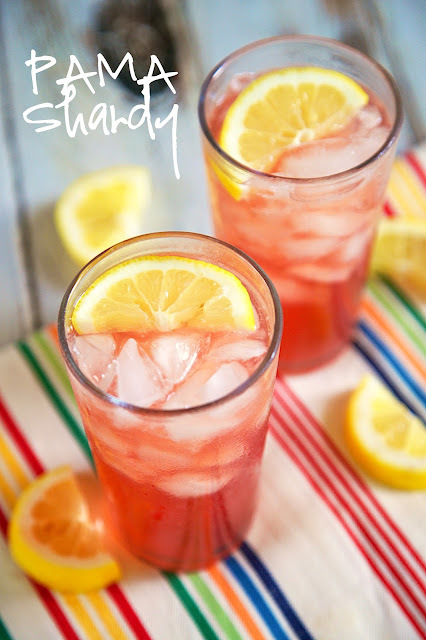 PAMA Shandy Recipe - lemonade, beer and PAMA liquor - a light and refreshing summer cocktail! I am not a beer drinker, but this cocktail really hits the spot! Only 3 ingredients! Summer is officially here, although it has felt like summer here for weeks. It is time for pool parties, summer BBQs, hanging out at the lake and beach, or just enjoying a beautiful sunny afternoon! 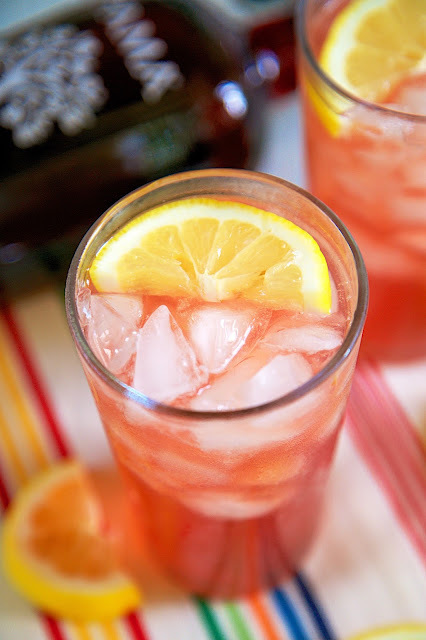 This PAMA Shandy is the perfect summer cocktail. It is so light and refreshing. I had my very first shandy a few weeks ago. I wasn't sure about it because I don't like beer. Chicken Legs talked me into giving it a try, and I ended up really liking it! A shandy is traditionally half lemonade and half beer. I kicked this shandy up with a shot of PAMA liquor. 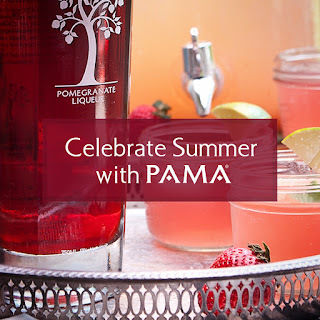 In case you aren't familiar with PAMA, PAMA is made with all-natural pomegranate juice, premium vodka and a touch of imported tequila. PAMA is 34 proof - perfect for mixing in a cocktail. It is my absolute favorite liquor. I always get excited when I see it behind the bar. I love it in champagne, sprite and especially in a martini. I am now a big fan of PAMA in a shandy! PAMA is running a summer contest. Entrants must create a Pinterest board that details what their ideal summer party would look like- from theme to décor to drinks, andparty tips. Combine all ingredients, pour over ice. PAMA Celebrate Summer Contest. NO PURCHASE OR PAYMENT NECESSARY TO ENTER OR WIN. A PURCHASE WILL NOT INCREASE YOUR CHANCES OF WINNING. Starts on 6/22/15 at 12:00:00 p.m. ET and ends on 7/20/15 at 11:59:59 a.m. ET. Open to legal residents of 50 UnitedStates and D.C., who are at least 21 years of age and older. Void where prohibited.For complete Official Rules, visit PAMALiqueur.com/CelebrateSummer. Sponsor: Heaven Hill Brands, 1064 Loretto Rd., Bardstown, KY 40004.